"This afternoon I throw off my outside coat. A mild spring day. I must hie to the Great Meadows. The air is full of bluebirds; the ground almost entirely bare... 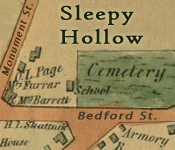 I go by Sleepy Hollow toward the Great Fields. I lean over a rail to hear what is in the air liquid with the bluebirds' warble. My life partakes of infinity." -H. D. Thoreau, Journal, March 15, 1852. 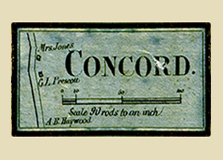 Boston Advertiser, May 9, 1862. 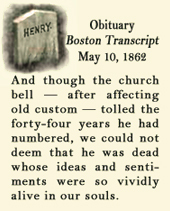 DIED at Concord, on Tuesday, 6 May, Henry D. Thoreau, aged 44 years. The premature death of Mr. Thoreau is a bitter disappointment to many friends who had set no limit to their confidence in his power and future performance. He is known to the public as the author of two remarkable books, "A Week on the Concord and Merrimack Rivers," published in 1849, and "Walden, or Life in the Woods," published in 1854. These books have never had a wide circulation, but are well known to the best readers, and have exerted a powerful influence on an important class of earnest and contemplative persons. But his study as a naturalist, which went on increasing, and had no vacations, was less remarkable than the power of his mind and the strength of his character. 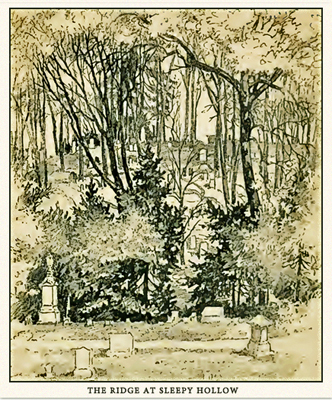 He was a man of stoic temperament, highly intellectual, of a perfect probity, full of practical skill, an expert woodsman and boatman, acquainted with the use of tools, a good planter and cultivator, when he saw fit to plant, but without any taste for luxury, without the least ambition to be rich, or to be popular, and almost without sympathy in any of the common motives of men around him. He led the life of a philosopher, subordinating all other pursuits and so-called duties to his pursuit of knowledge and to his own estimate of duty. He was a man of firm mind and direct dealing, never disconcerted, and not to be bent by any inducement from his own course...And when we now look back at the solitude of this erect and spotless person, we lament that he did not live long enough for all men to know him. Read full text. Visit Friends of Sleepy Hollow. Learn more at the Thoreau Institute.